Jim Crow, American: Selected Songs and Plays -- W. T. Lhamon Jr.
Raising Cain, Blackface Performance from Jim Crow to Hip Hop -- W. T. Lhamon Jr.
Ken Padgett is a historian, freelance writer, and webmaster who lives in San Diego, California. Padgett, Kenneth. Blackface! 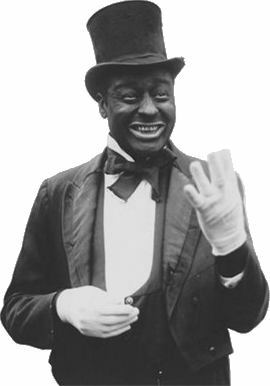 - The History of Racist Blackface Stereotypes. Web. 14 May 2018. <http://www.black-face.com/>.